Founded in 1992 in Wrexham, Wales, Limpet Labels is an established producer of high-quality self-adhesive labels. The company primarily produces labels for challenging applications in the industrial, chemical, oil and hygiene markets, where print accuracy and durability are a prerequisite. In order to meet these stringent demands, Limpet Labels deployed both digital print and flexo technologies. In 2014, the company added a Screen Truepress Jet L350UV to work alongside its existing toner-based and flexo systems. Running at 50 meters per minute, the Truepress Jet L350UV proved so instrumental in the production of consistent high-quality labels, that when the company needed to increase its digital capacity, investing in a second Screen press was an obvious choice. 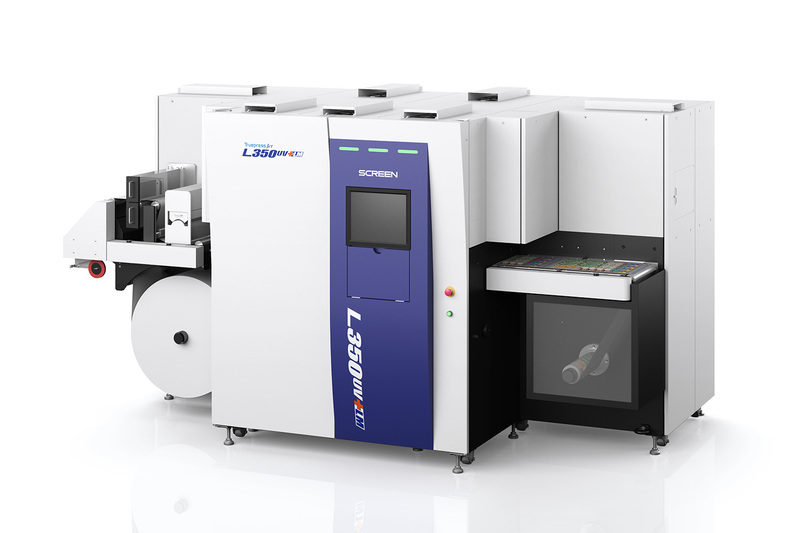 This saw Limpet Labels install its successor, the Screen Truepress Jet L350UV+ in October 2018. The new press offered a faster production speed of 60 meters per minute, together with enhanced media handling. 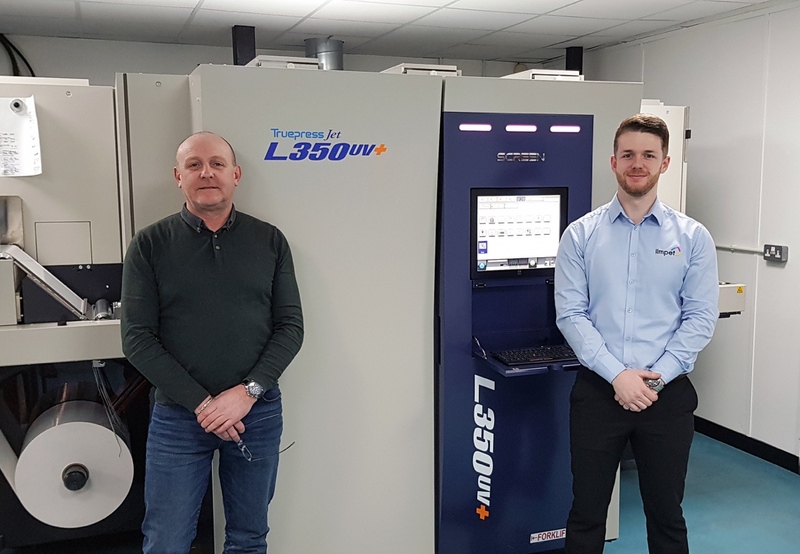 According to Nathan Williams, Digital Print Manager at Limpet Labels, thanks to the company’s experience with the Screen Truepress Jet L350UV and EQUIOS workflow, Limpet Labels was able to go from the installation to full production in under two weeks. According to Williams, the company’s digital department has secured significant production efficiencies. Despite the heavy ink coverage required for many labels in the industrial, chemical and oil markets, production with the Truepress L350UV devices is more cost effective. The higher print volumes achievable has led to an increased revenue stream. “Beyond this, the Screen presses have proven their adaptability to short, medium and longer run jobs, offering us greater flexibility to meet fluctuating customer demands. In some cases, the two presses are equally as productive as five toner-based platforms. In terms of ROI, this is an incredible achievement and has played an integral role in digital production now accounting for 80% of our business” explained Williams. The Truepress Jet L350UV+ includes time- and cost-saving tools such as spot colour matching, calculations of ink usage and daily print reports. It also has a large colour gamut. The addition of a chilled roller makes it possible to print on specialised heat sensitive films which has opened the door to a wide array of new label applications.